When it comes to forex trading, choosing the right platform software can make all the difference. In most cases, you have to use the platform that is provided by your broker, so the quality of the software should be a major factor in deciding who to trade with – unless you want to use MetaTrader 4 of course, which unsurprisingly tops our list of the best platforms for forex trading. 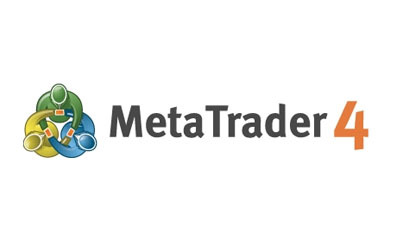 Since its introduction in 2005, MetaTrader 4 (or MT4 for short) has gone on to become the industry standard platform for retail forex trading. It can be used with a huge range of brokers, and offers several advantages over the proprietary trading platforms that they offer. Crucially, you can customize it with a vast library of open-source scripts and add-ons to provide different types of trading signals or perform automated trades. You can also write these yourself using the relatively straightforward MQL programming language, or take an existing script and tailor it to your specific needs. Over the years, the MQL programming community has produced a huge range of these scripts, and new ones are being added all the time. The sheer strength of this back catalogue is the main reason for MT4’s popularity, to the extent that the newer MetaTrader 5 software, which uses a different version of MQL, has seen very limited uptake from traders. The only real downside to MT4 is that the full version is only designed to work with Windows PCs, so if you have a Mac or a tablet computer, you might want to use something else instead. There is, however, a stripped-down mobile version available for iPhone, Windows Phone, and Android smartphones. While most proprietary forex trading platforms are more or less the same as one another, OpenBook from eToro is something genuinely different. Basically, it’s a social trading platform where you can see what other traders are doing in real time. You can choose to follow the moves of the best traders, and build a portfolio of people who you want to draw influence and ideas from. This enables you to tap into the wisdom of crowds, and is perfect for those who do not have the time to do deep research of their own. If you’re looking for an easy route into forex trading, you won’t find a better one than this. Coming from one of the biggest names in the forex world, you would expect FXCM’s software to be some of the best around, and it doesn’t disappoint. Perhaps the most distinctive feature is the ability to trade directly from the chart, which means that you can react quicker to what the chart is telling you. Also, you can view all your positions on the chart, which is a feature offered by only a few platforms. It comes with all the most commonly used technical analysis indicators, but if you are looking for something more specific you can download one of over 600 custom indicators from their library or write your own. Saxo have built up an enviable reputation for their trading software expertise over the years, having provided white-label solutions to some of the biggest names in online trading. In most cases, these have been built around the proven, sophisticated SaxoTrader platform technology. This software is available in three forms, the downloadable SaxoTrader, the browser-based SaxoWebTrader, and SaxoMobileTrader for smartphones. It provides everything you need to trade forex online, including news feeds, lots of charting options, and a wide range of trade orders – all in one easy to use platform. I dont know. I made a lot of money from nothing with mu platform. I dont see it here! I find vertexfx the best platform because despiter the fact that it is a fast and a secure platform, it contains features thati have to pay thousands for in other platforms.